Pre-qualify Subcontractors – Things to Consider | KPS Surety Bond Insurance Services, Inc.
With the slow down in the residential market you likely have seen more competition on projects as well as a longer list of subcontractors looking to provide bids to general contractors. With this new infusion of subcontractors to the commercial marketplace, are you, as a general contractor, being selective with regard to which subcontractor you will use? As a subcontractor, are you trying to position your business to be a preferred subcontractor? While the inherent risks of the general contractor – subcontractor relationship cannot be eliminated, things can be done to try to mitigate the risk of using subcontractors. Likewise, subcontractors can take steps to improve there position as a preferred subcontractor within the general contractor community. Subcontractor failures are generally a result of one of a few things. The subcontractor may lack financial wherewithal, a quality workforce, a quality management team, or they generally produce poor quality work. How do you as a general contractor help mitigate these risk factors from impacting your projects? Do you have and are you using your subcontractor prequalification process? While this is naturally not going to be a cure all to the risks associated with subcontract work, it can be a risk mitigation tool. Ownership breakdown and how long? Current management team and in place how long? Have they walked off a job in the past? You can also consider requesting financials as part of the prequalification process. Your surety bond broker should be able to help you quickly review these financials for key ratios that an underwriter would look at from a credit perspective. In addition to subcontractor prequalification forms, you can take it a step further by actually engaging potential subcontractors. Consider doing a site visit to their place of operations and/or to some job sites to see how organized and well run things look. Talk to some of the employees to get a feel for what they say about the subcontractors operations. If you want to look deeper into the organization consider reviewing resumes on project managers, project engineers, and superintendents. If certain key personnel are clearly superior to others try to negotiate as part of your contract using these people. Consider the subcontractors surety relationship in your prequalification process. Who is their surety? What are the surety’s AM Best Rating and T-Listing? This will help give you some insight into surety’s financial strength. Require a prequalification letter from the surety company on their letterhead or from the agent that is notarized and signed attorney-in-fact. You may considering requesting this letter state the subcontractors single and aggregate bonding limits, current capacity, and average bond rate. There are also other things you can consider in your review process and some of those are as follows. Does your potential subcontractor have a training program for their personnel? Do they have an active safety program in place? If your potential subcontractor uses substantial equipment in their trade is the equipment available and do they have an adequate yard and shop facilities? If you don’t, consider implementing a subcontractor bonding policy. While bonding subcontractors does not eliminate subcontractor risk, there are some key benefits to doing so. By requiring subcontractor bonding you at least know another set of eyes has reviewed and qualified the subcontractor from an experience and financial wherewithal perspective. This process should help separate financially qualified subcontractors that have the experience in the scope of work and geographic territory from those that are not. Subcontractor bonding also helps ensure you have this subcontractor’s attention. The recourse against this subcontractor from the surety can be severe relative to a non-bonded subcontractor that may walk off your project. In addition, if subcontractor failure still occurs, you will have recourse back to the surety. Consider what your subcontractor might be working on besides your project. Just because your subcontract is small does not mean your subcontractor may not have another large, complex job underway. 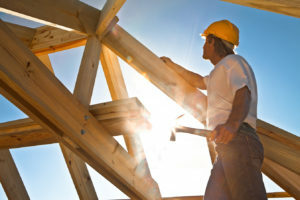 If that large job is not going well, your subcontractors attention may drift from your job to the larger, troubled job. There is no one way to protect your business from subcontractor failures. Construction will always be a risk taking business. However, steps can be taken to help mitigate these risks. Likewise, as a subcontractor, there are ways to make your business standout from your competition. Surround your businesses with professional advisors, maintain a healthy financial position, be well staffed and well run, and maintain a strong surety relationship that will support your bond needs when you are called on to post performance and payment bonds. Is a Bigger Bottom Line Consistent with Liability? Bid Bonds from Subcontractors – Why Not? Are You Actively Managing Your Expenses?